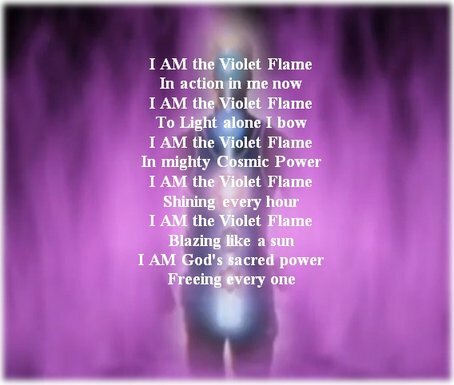 The Violet Flame is one of the greatest little-known spiritual tools on the planet, and a tremendous gift from God to mankind. The violet flame–a high-frequency energy that can penetrate your nervous system, your heart, your brain–to increase stamina, longevity, and your extrasensory perception. 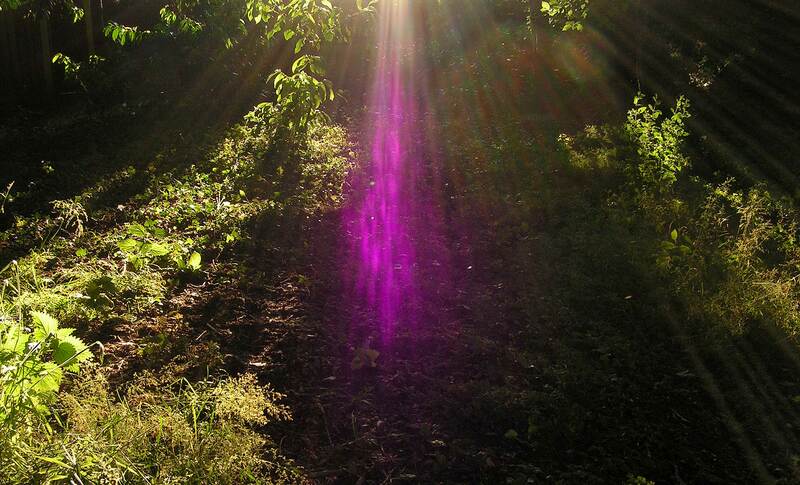 The Violet Flame appears to be the most powerful and important tool we have for transmuting dense, negative energies. The main thing we need to do if we intend to ascend is clear out at least 51% of the negative energy that’s lurking within us somewhere (Cosmic Ascension, on the other hand, requires that we become 100% filled with Light). The increased Light shining on our planet now is entering our DNA (or knocking on the door) and pushing out the old energies that hold us back. All that is illusory and therefore limiting (3rd and 4th-dimensional) is being challenged by the return of Light, truth and reality, by All-That-Is, God/Goddess. We cling to these stuck energies only through fear and it is those which we have habitually clung to for so many lifetimes that are the hardest and, therefore, last ones to be released. We have denied the truth for so long, too afraid to face let alone forgive ourselves. With the return of Light to Earth, however, it is now time to wake up from the nightmare. “We are not human beings having a spiritual experience. We are spiritual beings having a human experience.” – Teilhard de Chardin. 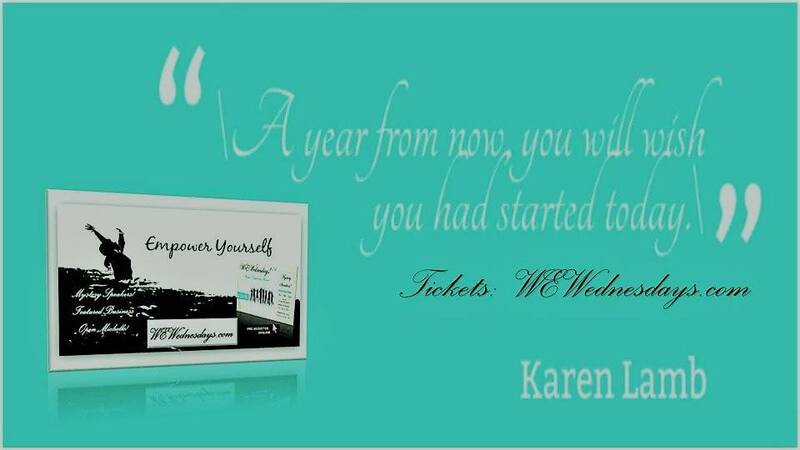 This is an opportunity to accelerate our growth and ascend with Earth to the 5th dimension. 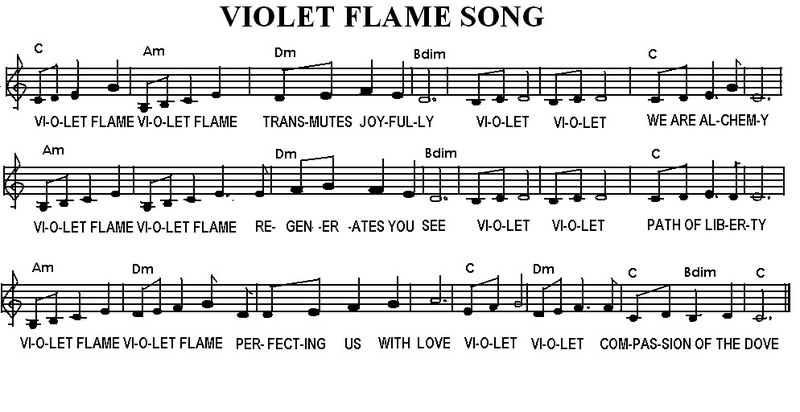 I use the violet flame each day. I breathe it in through my crown during meditation but this is simply an effective way to invoke the energy through intention. I then see it filling my body and pouring into the earth. I leave it flowing on automatic, healing both myself and the earth. 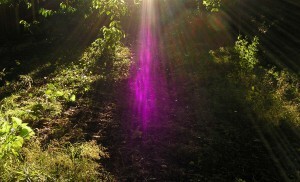 I also visualize the violet flame(s) expanding out into my aura. Sometimes I also bring golden light up from the earth through my feet at the same time as recommended by St Germain. The violet and gold meet in the heart and I exhale them out into my aura together. I send the violet flame to my past, particularly my childhood, and also right back to every emotional body I have ever had in all my lifetimes on Earth as well as forward to future challenges. I sort of see my past and future as tunnels running either side of the chamber of the present. This adds minimal form and it feels like it helps to contain and channel the energy to the fairly abstract, or unknown, regions of my consciousness to which I intend it to travel. [Update: This experiment did not last long. I got wise and now view the past and future as a ball around myself which I fill with the violet flames thus transmuting all dense vibrations past, present and fure with one master stroke – although one must realize that it is necessary to use the violet flame regularly until all negative energy has been transmuted]. Next, I visualize the planet bathed in it and focus on specific regions of the planet (mainly China and the Middle East) and people I know. I send it to them. Afterwards, I see these places and people receiving golden light and also breathe down golden energy from my Christ Self through my crown until I am full and radiant. I see myself as being so bright that the environment around me lights up. The power of the Violet Flame will remain sealed in your Higher Consciousness until you summon it. 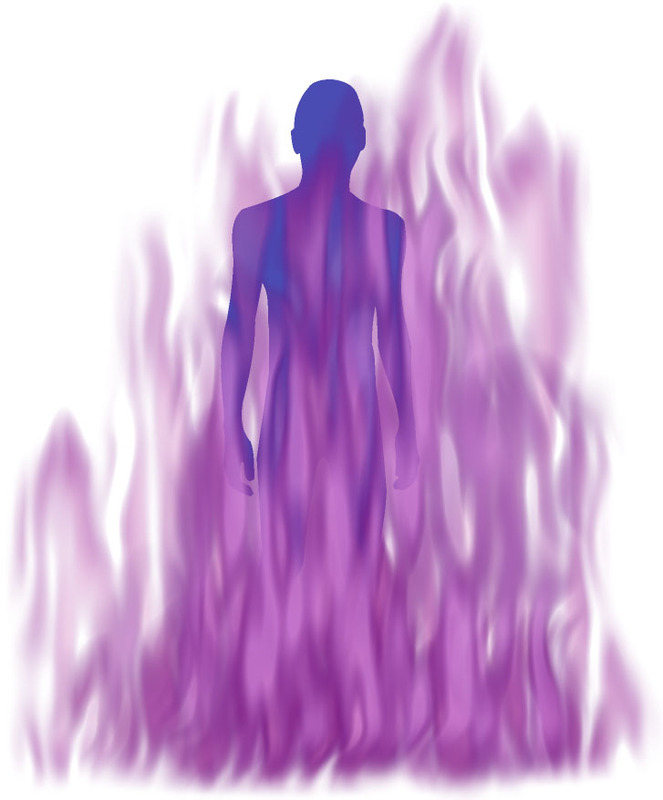 The Violet Flame allegedly transmutes energies allowing a soul to burn off the karmic ties that bind it to the emotional grid or physical realms. Its purpose is to transmute negative energy into positive energy. You might remember the story of Moses and the burning bush. ‘And the angel of the Lord appeared unto him in a flame of fire out of the midst of a bush: and he looked, and, behold, the bush burned with fire, and the bush was not consumed.’ (Exodus 3:2) The bush wasn’t consumed because it was a spiritual fire – the violet fire. Spiritual fire is not just symbolic. It is a reality that you can experience in your own life. As your vibration accelerates, you may become more attuned to the vibration of divine love and to the voice of God speaking in your heart. You may begin to feel a renewed sense of freedom as the Violet Flame restores vitality and joy, bringing you into harmony with your higher Self. And as you free yourself, you will be freer to help your loved ones, your community and the world. Every human being uses energy and substance waking and sleeping. Everyone is creating vibration and form through the individual consciousness every instant. The Law of energy acts whether the individual be ignorant or wise and no one ever escapes. The conscious use of the Violet Consuming Flame is the only means Life has provided by which any human being can free himself (or herself) from his own discord and imperfection. This means to call to the “Mighty I AM Presence” to produce the Violet Flame and then visualize and feel the Flame passing through the body and around it. This is the way the individual becomes free from the limitations and inharmony of Earth and thus becomes the Ascended Master. The Great Eternal Law is that every individual must purify his (her) own creation by daily use of the Violet Consuming Flame. It is not possible for anyone else to do it for him. Since he created his imperfections, so must he uncreate and purify them, until all in his being and world manifests Perfection.